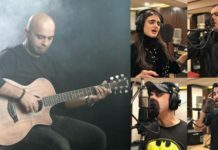 In 2018, we saw Pakistani drama serials upping the game with their OSTs. This year, the standards and expectations are just as high, and it looks like Shuja Haider is ready to bring his best to the field. 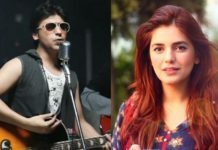 The singer, who is also remarkably collaborating with Fawad Khan on the PSL 4 anthem, has now composed an emotive OST for the upcoming drama serial, Dil e Bereham. 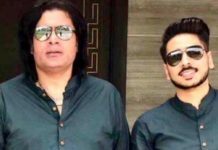 The song, titled Aag Lag Javegi, comes with a catchy tune that may sit well with fans of slightly upbeat with a hint of mellow Punjabi music. Haider’s vocals completely suit the tune of the song, and it is bound to get stuck in your head in time. It doesn’t compulsively follow the common overemotional tropes that most OSTs follow, but has a unique touch to it instead, which makes it feel more like a personal single and a little less conventional. Directed by Hunny Haroon, the video features the leading cast members, Wahaj Ali and Amar Khan, demonstrating impeccable chemistry. Their emotions give off a hint of a little bit of everything, ranging from longing and love to passion and apathy. With Haider belting out the track on what seems like an abandoned set, we also see Ali joining in and singing along. With an OST this appealing, the serial already looks good. 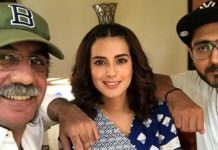 Along with this well-liked duo, it stars Samina Ahmad, Irsa Ghazal, Behroz Sabzwari, Hina Bayat and Maryam Nafees in prominent roles. 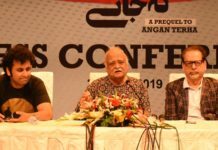 The director, Syed Ali Raza Usama, has previously given us hits like Bashar Momin and Khuda Aur Mohabbat. Hence, Dil-e-Bereham clearly seems like a must-watch for every fan of enthralling dramas.